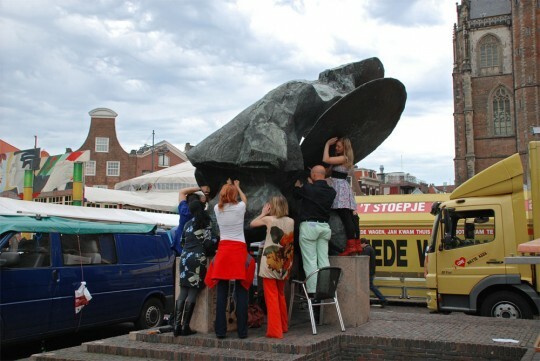 Performance A large bronze sculpture piece is standing as if forgotten in the center of Haarlem. Hitting it with your hand creates a nice sound because it’s a hollow structure. 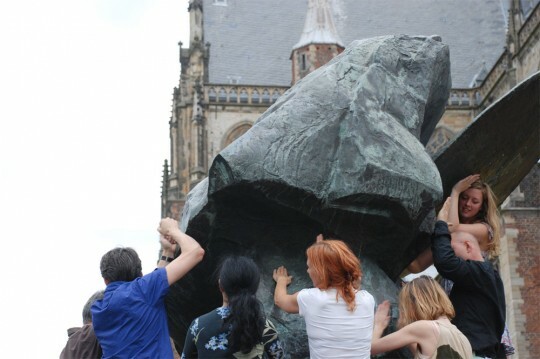 For many minutes, alternated by periods of silence, the group made sound by hitting the artpiece with their bare hands. 14 participants, september 10th 2011, Haarlem, The Netherlands. Thanks to: Nieuwe Vide Haarlem. Photo’s: Ellen Boersma.